Here’s a big one. 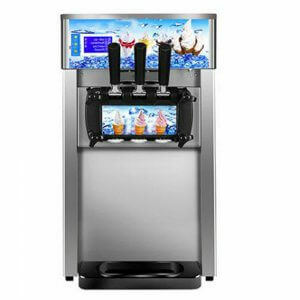 Once you use a soft serve ice cream machine at a party, others will ask where you got it from, and may will go that business and rent a machine for their events. Why not make it your machine that you rent out? Instead of an expense, you’ve now got an investment that can pay for itself, and provide ice cream. How cool is that? 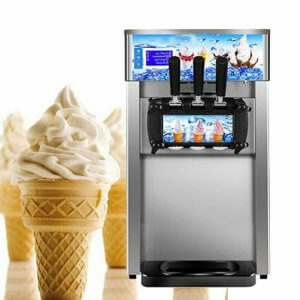 Most soft serve machines are huge, but we recommend the Vinmax Soft Serve Ice Cream Machine that is only 26 x 9 x 26 inches! The smaller size, but still high capacity makes it much easier to transport and set up. When you buy a soft serve machine, you’ll find that you’ll use it more, and won’t have to wait on a someone else’s schedule to rent one. Birthday party, swim party, wedding, you name it. A soft serve ice cream machine takes an event up a notch, and makes it memorable. Just saying, this will take your parties up a notch. And more gatherings mean more opportunities to get people interested in renting your machine. The best reason however is that it’s just plain fun.